Lovely layout. I like how you worked the title around the printed word on the paper. So very creative. So pretty! I love the grid of three in the center and the frame over the photo. 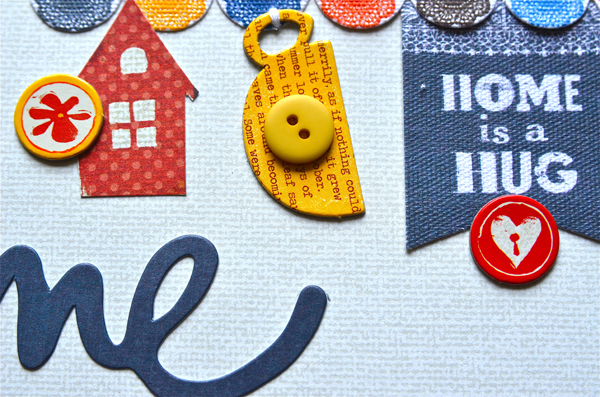 Such a pretty layout, love the detail of stitching the chipboard pieces to your banner at the top! This is gorgeous!! I love love love the colors and loving the teacup hanging from the top!!!! Beautiful page to honor your mom. I love those papers and embellies- yum! Nice layout and great picture. Like the oval frame. You're the embellishment queen! :-) I love how many fun things there are always to find on your pages! wow! this layout is amazing and energetic! love all the colors!!! What a fabulous layout! Love that there's always so much to see on your pages! Love the warm colors of this collection! I adore all the little details and embellishments on this one. The stitching is the perfect touch! Love it! Cute,cute, cute! Love how you worked the tea cups and key into the banner at the top. Such a great page, Lisa!! 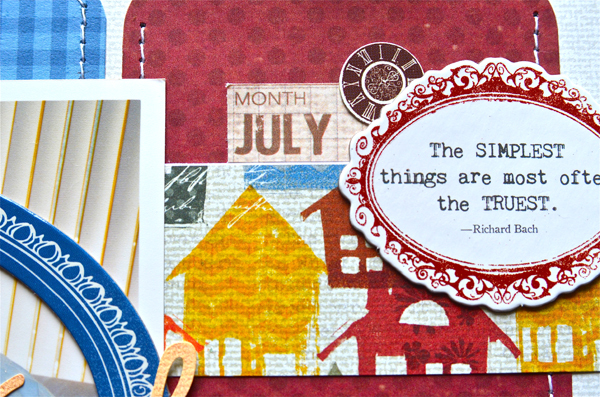 Love that fun banner you created at the top of your layout! this is so sweet - I love that little banner! Lisa - this is such a great page. It really does have a homey feel! I know how it is to miss your Mom. This is such a warm, loving layout! Love all the details and love you put into this! This is such a lovely heartwarming layout! I love the homey feel! You've captured it perfectly!! You have such great little touches and attention to detail! Great layout. 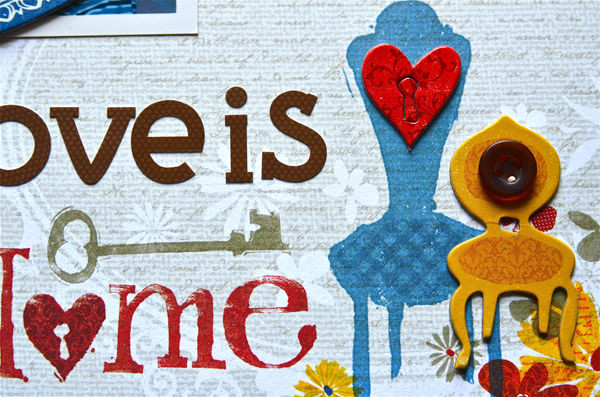 It is homey indeed! LOVE it and I agree, your attention to detail is what makes your layouts! !